Well, hey there! Hope you had a great weekend. Sunday was my birthday!! No huge plans, just a nice day spent with the family. I did have the best birthday present ever when our little girl told me, “I Love You.” for the first time! And you know I melted! So who is ready for Thanksgiving this week? I have just a few last minute projects to put together before the family comes. Nothing too major so I’m looking forward to relaxing a little these few days. Because it’s about to get craaazzyy busy! 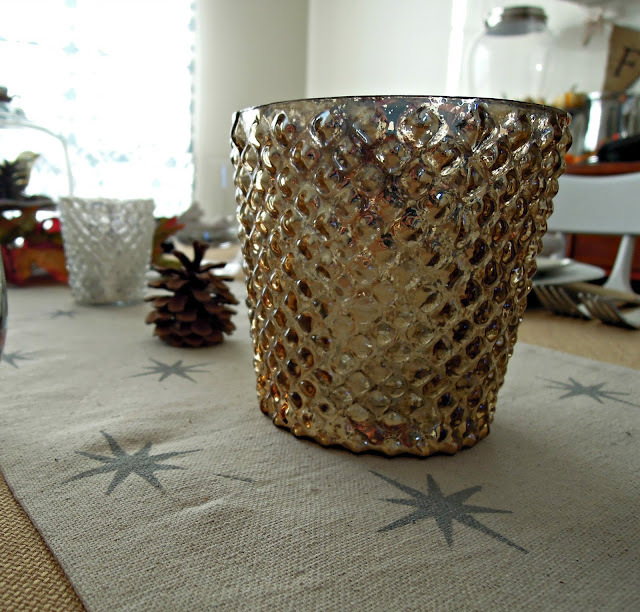 Last week I shared with you my holiday table. Today, I’m going to show you how I made the table runner that you see here. So easy!! 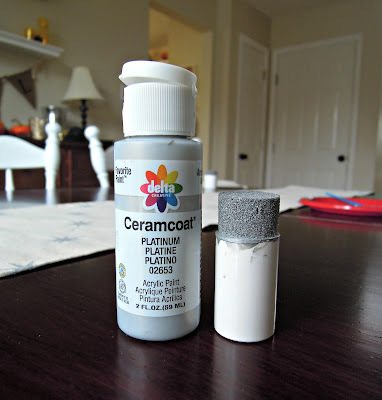 I started with a painter’s drop cloth that I picked up at Lowe’s for around $10. I cut the fabric to the size I wanted and then hemmed the edges. “Waaaait a second, but that girl can’t sew!” you say. Yep, and that’s why I love Stitch Witchery! It’s the perfect fix for any fellow no-sewers like me! Holla!! Stitch Witchery is a fusible bonding web that has easy to follow instructions. Just fold over the fabric you want to hem and iron! After I “hemmed” my fabric, it was time to stencil my design. I love these Arabesque stencils from Martha Stewart. I purchased these a few months ago when I made the stenciled wooden tray. For this project, I used the star pattern and metallic acrylic craft paint in Platinum. 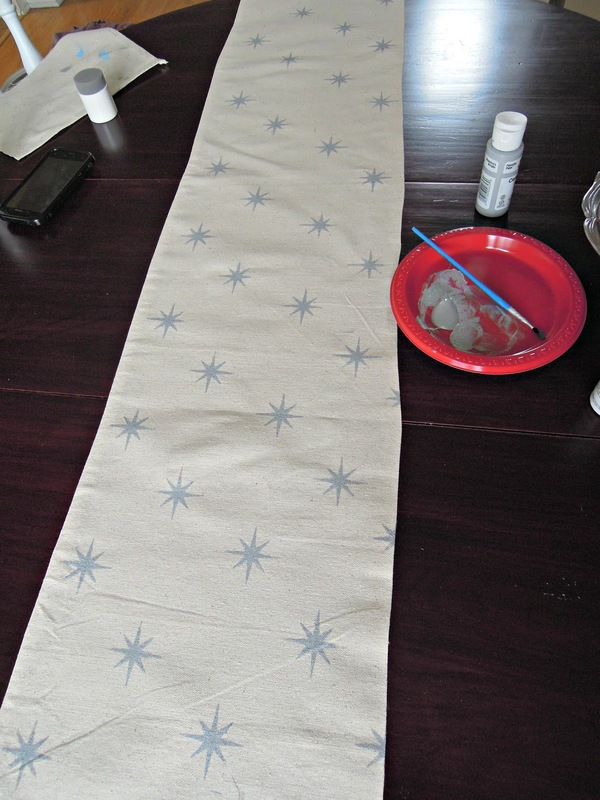 I applied the paint to the fabric using my Martha Stewart stencil pouncer. 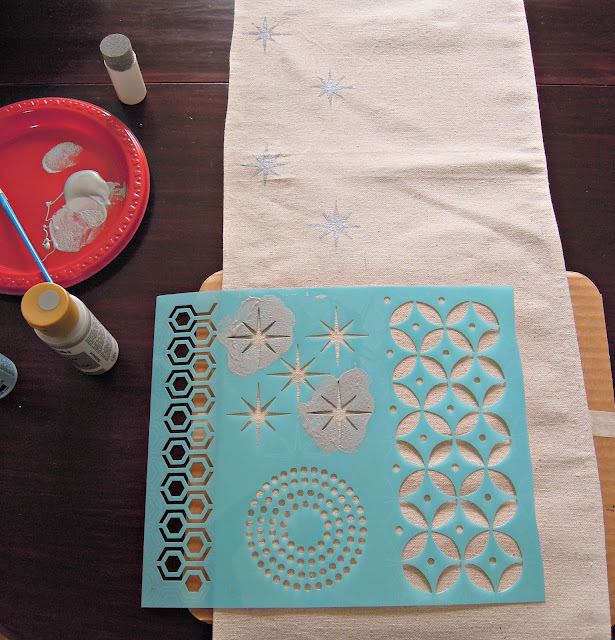 The paint dries fairly quickly on the fabric so there wasn’t a long wait time between stencils. I went down one side of the runner and then down the other side. 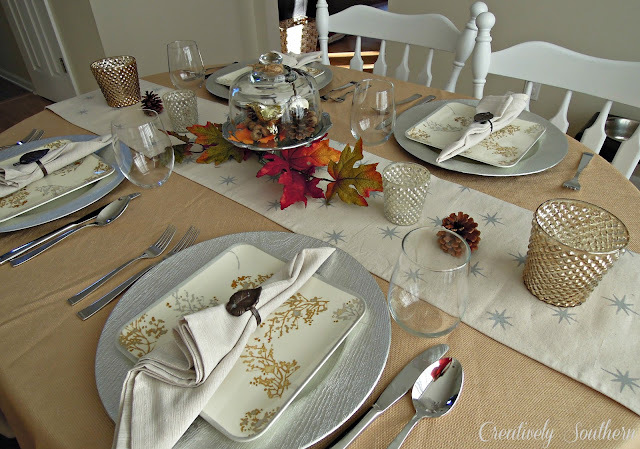 This was an easy project that I was able to do in about 30 minutes, and I love how it looks on our holiday table! Now that I have my table ready to go, I’m going to go make my grocery list for my Thanksgiving day dish! This year, it’s sweet potato casserole! A southern must on the holiday table! 😉 What’s your must-have side dish for Thanksgiving? I’d love to hear your plans! 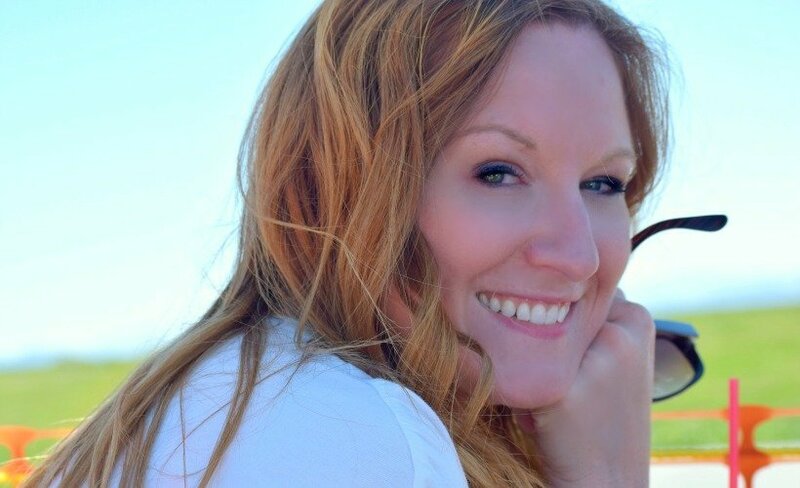 I’m back because: You are a STAR today over at I Gotta Create! 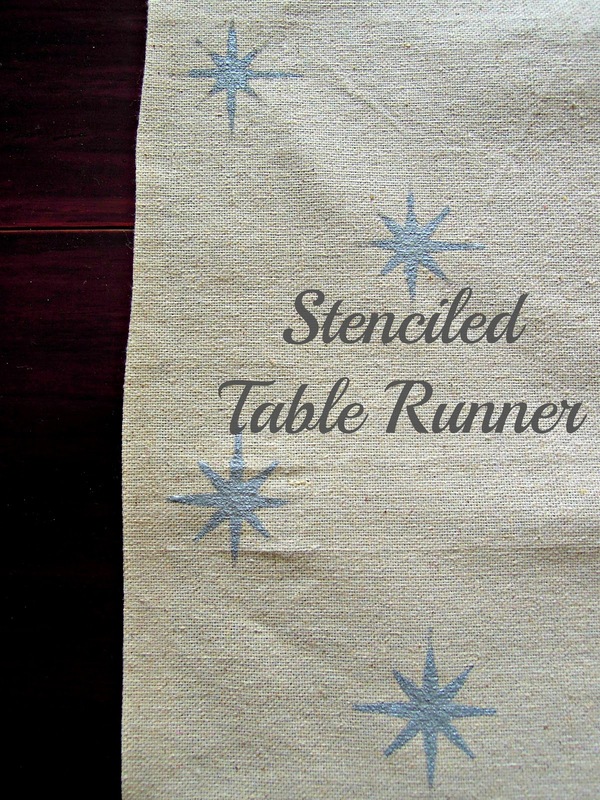 I’m featuring your beautiful table runner. 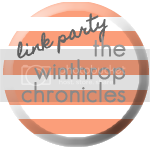 Thanks so much for linking up at the party. Love the subtle shade and image you chose. Looks so pretty! What a great idea! I love the color and the table setting! Gorgeous! I love the paint color you chose it looks perfect with your dinnerware. Very pretty and simple! Thanks for sharing this!